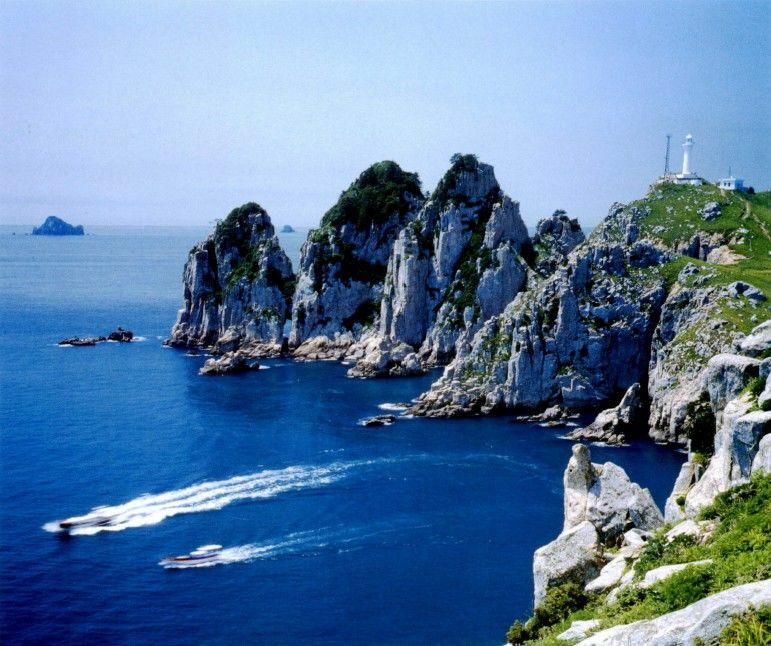 Somaemuldo Island is called the treasure of Hallyeosudo. The combination of deep blue sea and high rugged precipice with rocks of fantastic shape is amazing. 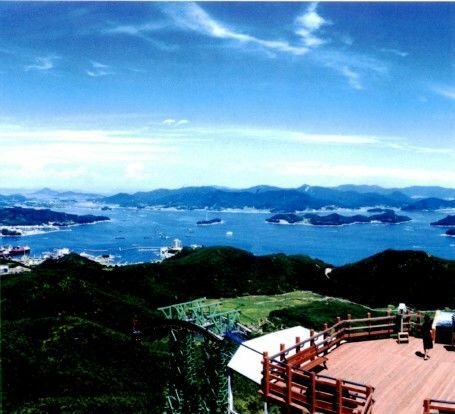 Deungdae island shown from Mangtaebong peak is so beautiful. You should well catch two ebb tide time in a day in order to enter Deungdae island. 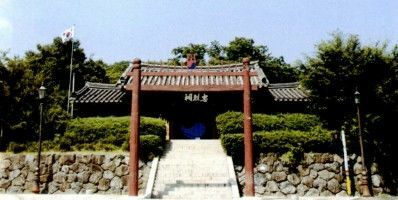 Chungnyeolsa shrine was built to honor admiral Yi Sun-shin and cherish the memory of him. It has JeongChim, 5 gateways like Naesammoon gate, Joongmun gate, Uisammun gate, Jeongmun gate and Hongsalmun, and Ganghallu and exhibit hall. Mireuksan mountain, which is located at an altitude of 461 meters, has been selected to one of 100 famous mountains in Korea. Dense forest, clean valley water, azalea and fallen leaves are amazing. In particular, the scenery of Hallyeohaesang shown from the mountaintop is out of this world! It is the longest cable car in Korea(1975m). You would arrive at the upper station while appreciating the peaceful sea. 400 meters of trail deck is built to the top. Bijindo island, which is also called as Miindo island, consists of inner island and exterior islands. Long shoal has been created between two islands. So you can enjoy the sunrise of the east sea and the sunset of the west sea at one place. It is also famous for sea fishing area so that it is crowded with many fishermen. The highlight of Bijindo island is coral seashore connecting inner island and exterior island. While the west beach has thin silver sand and peaceful water, the east beach has broken water. Its geographical features are so extraordinary. 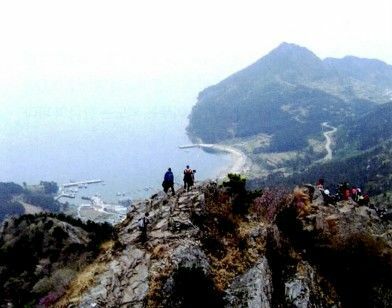 Saryangdo Island, which consists of three islands such as up island, down island and Suwudo island, is always crowded with tourist who want to enjoy mountain climbing of Jirisan mountain. About 6.5 kilometers of mountain trail course is from Donji-ri to Jirisan mountain, Bulmosan mountain and Ongnyeobong peak. (it takes about 4 hours and half an hour) The scenery of Amreung and islands over the blue sea is awesome. 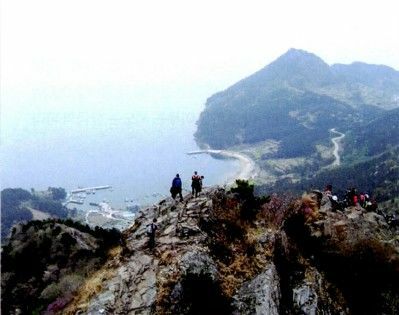 About seven rocks on the seashore, which is the fishing point, is as famous as mountain climbing of Saryangdo Island. You can catch Ppollak, Sea Bream, rock trout, flatfish and Black Porgy. You can also enjoy cool driving along the seashore.